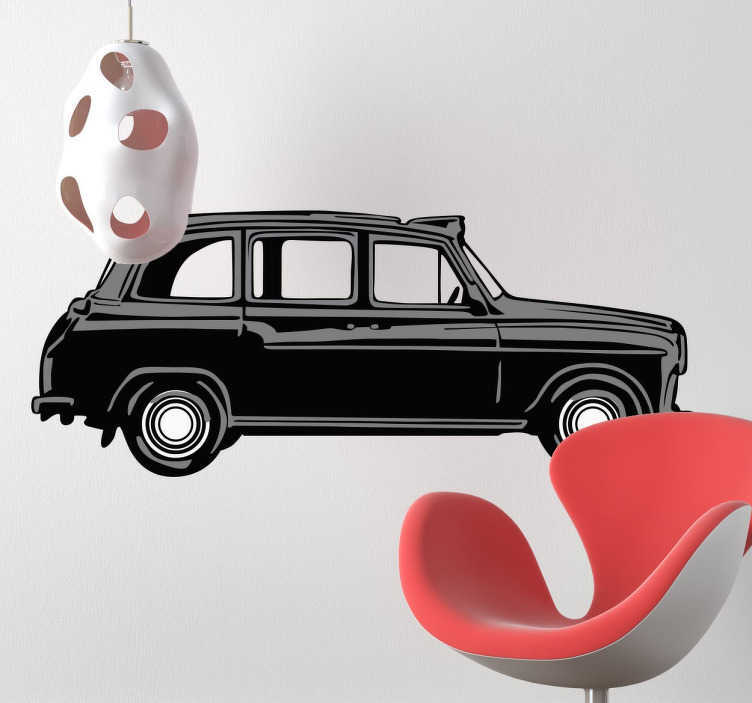 Trendy wall sticker of an iconic black taxi cab that is related with the capital city of London. Perfect for adding a stylish touch to your home. Spectacular design of the famous car that is also known as a hackney carriage that can be seen in abundance on the streets of London. Create a modern and up to date look on the walls of your home with this easy to apply sticker. Whether you want to obtain a London themed style in your home, or even if you are a lover of traditional cars, place it wherever you like to achieve your desired look.